Trim Solutions for the Modern Brand. Trim supply chains are very complex. You need a trim partner that can keep everything running smoothly so you can focus on what you do best. 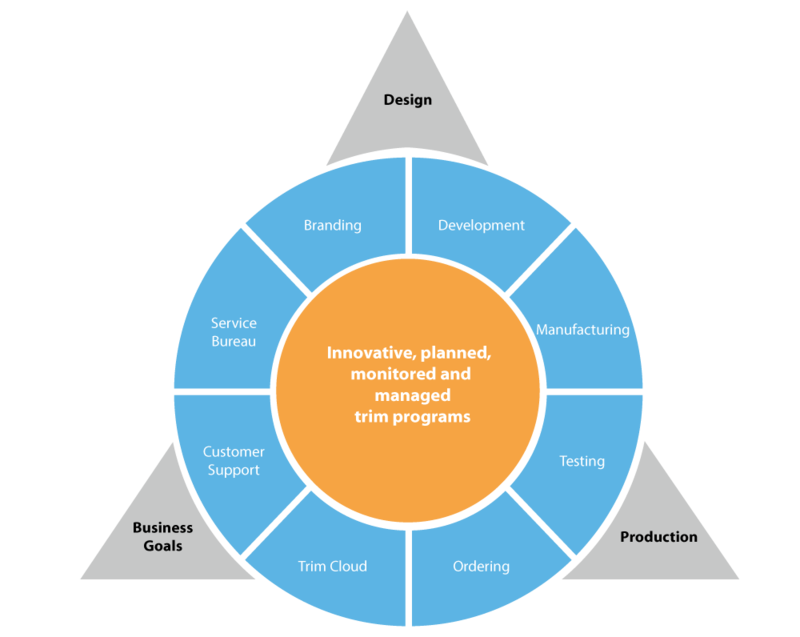 Brand ID has created a holistic approach to managing trim programs. Every step of the process is designed to achieve total success without taking up a great deal of your time. Our exclusive cloud-based trim management system allows complete control.